It is a matter of fact that is our country & especially in our province maternal and child health facilities are either few in number or situated in far flung rural areas, which are not in access to the urban population. There is a huge burden on both public and private health facilities and this is the reason most of the people are reluctant to go to a health care facility and conduct even deliveries at home. The other reason for not attending a private health facility is the economic issue as most of the people in KPK are average or below average. Also due to lack of extensive family planning programs in the province, the population is increasing day by day. Majority of our province population is unaware of antenatal and post natal care. There is also shortage of TBA (Traditional birth attendants) and skill birth attendants in the rural areas and untrained ladies are conducting deliveries. There is still a rise in maternal mortality rate and the reasons are multiple like anemias in pregnancy, infections, obstetrical problems like obstructed Labour, uterine rupture and PPH, puerperal sepsis etc.Also due to lack of proper education, the child mortality rates are also increasing. Most of the rural population even is unaware of the early breast feeding, weaning time, early treatment of infectious diseases such as Acute respiratory infections, acute diarrhea. This also raises the infant and under 5 year mortality rates. The current MMR is 320, IMR 62 and Under 5 Mortality rate 85/94 on 14th Feb. 2015 in Pakistan. Like other areas of KPK, Mardan has few MCH facilities at public and private levels. There is a need to enlarge this circle to reduce MMR, IMR, and Under 5 year mortality rate. For this reason OKF Mardan has decided to launch MCH program in Mardan city. This will provide round the clock facilities to the female population at very minimum welfare rates which will be in access of every person. 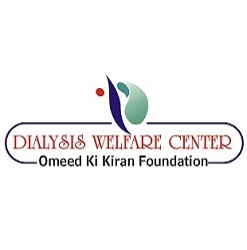 The objectives of Omeed Ki Kiran Foundation are listed below. To provide health services to female population which addresses both gynaecological & non-gynaecological ailments/issues. To Health educate female population about the importance of antenatal visits and registering pregnant ladies in the MCH register. To conduct normal vaginal deliveries/Episiotomies. In time diagnosis of obstetric completions, like abnormal fetal lie, pregnancy related complications like, diabetes mellitus in pregnancy, ecclmpsia, hyper emesis gravidarum, PPH and in time referral to tertiary health care facilities in order to reduce maternal and infant mortalities. Health education about promoting family planning/birth spacing to the couples and advising safe methods of contraception. To address females about early breast feeding, its durations and the benefits to the baby who is breast fed. To promote health education in the female population about anemia in pregnancy, Diabetes mellitus, Pregnancy induced hypertension and treating those already suffering from such chronic diseases during pregnancy. To provide post natal care to female population. Addressing infertility issues and providing help to infertile couples. To provide health care to the newborn baby, and addressing their parents about early breast feeding and exclusively breast feeding up to 6 months, weaning and about the attainment of developmental milestone. Health education of female population about childhood early treatment of acute diarrhea, respiratory tract infections and malnutrition issues. This will reduce infant mortality rate and under 5 year’s mortality rates. Promoting the importance of tetanus immunization during pregnancy and also screening against TORCH infections especially in those ladies who face repeated abortions. Promoting health education in the antenatal and postnatal periods regarding healthy diet, iron and calcium supplements and especially folic acid supplementation, completing sound sleep and cleanliness. Providing all these services at minimum and affordable welfare prices.